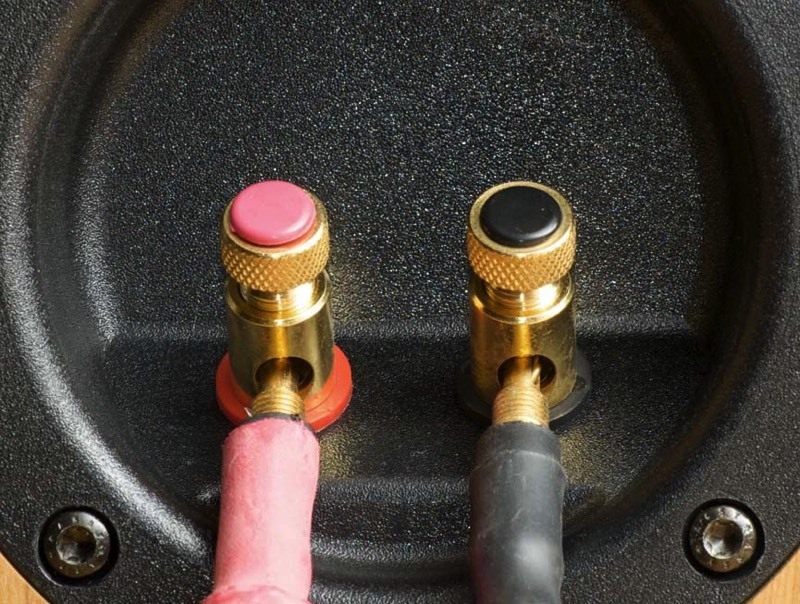 Connect the positive terminal on the speaker (colored red and marked with "+") to the positive output terminal of the amplifier and negative (colored black and marked with "-") to negative. Incorrect connection can result in poor imaging and loss of bass. During connection it is very important not to apply tangential forces to the binding pods. This might lead to breaks of the binding pod. To reduce the risk of break of the binding pods, it is to turn clockwise the pod to close it before inserting a banana plug (Fig. 2). If you try to insert the banana plug with open pod (Fig. 3) then it might break: this damage is not covered by warranty. Always screw the terminal caps tightly to optimize connection and signal transmission.